The Access to Information Act was first passed by parliament in 1983 (Photo courtesy of en.wikipedia.org). This post is cross-posted with permission from Teresa Scassa, from her personal blog. Scassa is the Canada Research Chair in Information Law at the University of Ottawa. Canada’s Access to Information Act is outdated and inadequate – and has been that way for a long time. Information Commissioners over the years have called for its amendment and reform, but generally with little success. The current Information Commissioner, Suzanne Legault has seized the opportunity of Canada’s very public embrace of Open Government to table in Parliament a comprehensive series of recommendations for the modernization of the legislation. The lengthy and well-documented report makes a total of 85 recommendations. This will only seem like a lot to those unfamiliar with the decrepit statute. Taken as a whole, the recommendations would transform the legislation into a modern statute based on international best practices and adapted both to the information age and to the global movement for greater government transparency and accountability. The recommendations are grouped according to 8 broad themes. The first relates to extending the coverage of the Act to certain institutions and entities that are not currently subject to the legislation. 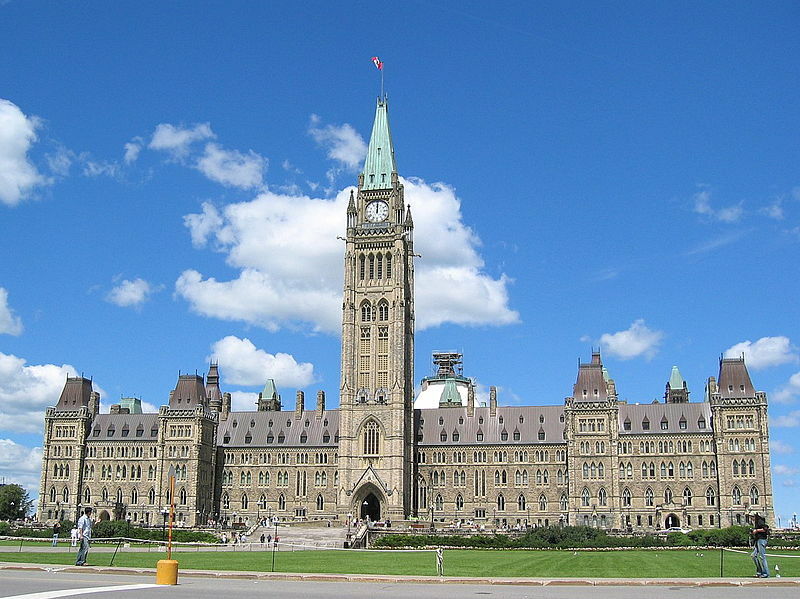 These include the Prime Minister’s Office, offices of Ministers, the bodies that support Parliament (including the Board of Internal Economy, the Library of Parliament, and the Senate Ethics Commissioner), and the bodies that support the operations of the courts (including the Registry of the Supreme Court, the Courts Administration Service and the Canadian Judicial Council). A second category of recommendations relates to the need to bolster the right of access itself. Noting that the use of some technologies, such as instant messaging, may lead to the disappearance of any records of how and why certain decisions are made, the Commissioner recommends instituting a legal duty to document. She also recommends adding a duty to report any unauthorized loss or destruction of information. Under the current legislation, there are nationality-based restrictions on who may request access to information in the hands of the Canadian government. This doesn’t mean that non-Canadians cannot get access – they currently simply have to do it through a Canadian-based agent. Commissioner Legault sensibly recommends that the restrictions be removed. She also recommends the removal of all fees related to access requests. The format in which information is released has also been a sore point for many of those requesting information. In a digital age, receiving information in reusable digital formats means that it can be quickly searched, analyzed, processed and reused. This can be important, for example, if a large volume of data is sought in order to analyze and discuss it, and perhaps even to convert it into tables, graphs, maps or other visual aids in order to inform a broader public. The Commissioner recommends that institutions be required to provide information to those requesting it “in an open, reusable, and accessible format by default”. Derogation from this rule would only be in exceptional circumstances. Persistent and significant delays in the release of requested information have also plagued the system at the federal level, with some considering these delays to be a form of deliberate obstruction. The Report includes 10 recommendations to address timeliness. The Commissioner has also set out 32 recommendations designed to maximize disclosure, largely by reworking the current spider’s web of exclusions and exemptions. The goal in some cases is to replace outright exclusions with more discretionary exemptions; in other cases, it is to replace exemptions scattered across other statutes with those in the statute and under the oversight of the Information Commissioner. In some cases, the Commissioner recommends reworking current exemptions so as to maximize disclosure. Oversight has also been a recurring problem at the federal level. Currently, the Commissioner operates on an ombuds model – she can review complaints regarding refusals to grant access, in adequate responses, lack of timeliness, excessive fees, and so on. However, she can only make recommendations, and has no order-making powers. She recommends that Canada move to an order-making model, giving the Information Commissioner expanded powers to oversee compliance with the legal obligations set out in the legislation. She also recommends new audit powers for the Commissioner, as well as requirements that government institutions consult on proposed legislation that might affect access to information, and submit access to information impact assessments where changes to programs or activities might affect access to information. In addition, Commissioner Legault recommends that the Commissioner be given the authority to carry out education activities aimed at the public and to conduct or fund research. Along with the order-making powers, the Commissioner is also seeking more significant consequences for failures to comply with the legislation. Penalties would attach to obstruction of access requests, the destruction, altering or falsification of records, failures to document decision-making processes, and failures to report on unauthorized loss or destruction of information. In keeping with the government’s professed commitments to Open Government, the report includes a number of recommendations in support of a move towards proactive disclosure. The goal of proactive disclosure is to have government departments and institutions automatically release information that is clearly of public interest without waiting for an access to information request that they do so. Although the Action Plan on Open Government 2014-2016 sets goals for proactive disclosure, the Commissioner is recommending that the legislation be amended to include concrete obligations. The Commissioner is, of course, not alone in calling for reform to the Access to Information Act. A private member’s bill introduced in 2014 by Liberal leader Justin Trudeau also proposes reforms to the legislation, although these are by no means as comprehensive as what is found in Commissioner Legault’s report. In 2012 Canada joined the Open Government Partnership, and committed itself to an Action Plan on Open Government. This Action Plan contains commitments grouped under three headings: Open Information, Open Data and Open Dialogue. Yet its commitments to improving access to information are focussed on streamlining processes (for example, by making it possible to file and pay for access requests online, creating a virtual library, and making it easier to search for government information online.) The most recent version of the Action Plan similarly contains no commitments to reform the legislation. This unwillingness to tackle the major and substantive issues facing access to information in Canada is a serious impediment to realizing an open government agenda. A systemic reform of the Access to Information Act, such as that proposed by the Information Commissioner, is required. What do you think about Canada’s Access to Information Act? Let us know on twitter @geothinkca. This entry was posted in In The News and tagged Access to Information Act, Canada's Information Commissioner, crosspost, Information Commissioner, open data, open government, open government partnership, overhaul, Research Theme 3: Laws Norms Rights & Code, tabled, Teresa Scassa on April 3, 2015 by Drew Bush.